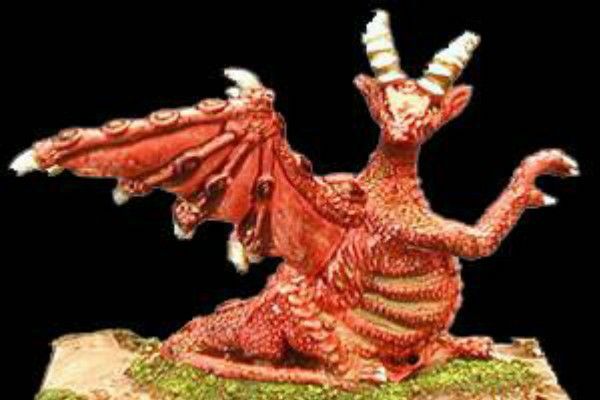 HOT 23 Dragon seated satiated, possibly digesting its previous meal or disturbed while preening itself. Model of a horned dragon with two, separately cast, wings. The model is approximately 45mm long x 45mm tall and with a wingspan of approximately 90mm. Supplied without the original packaging. Condition of the models as new. 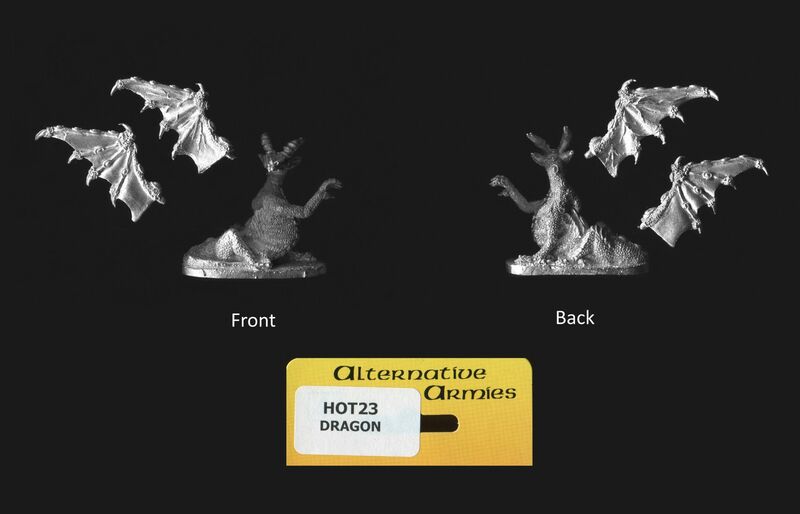 The picture of the painted model is taken from the Alternative Armies website.